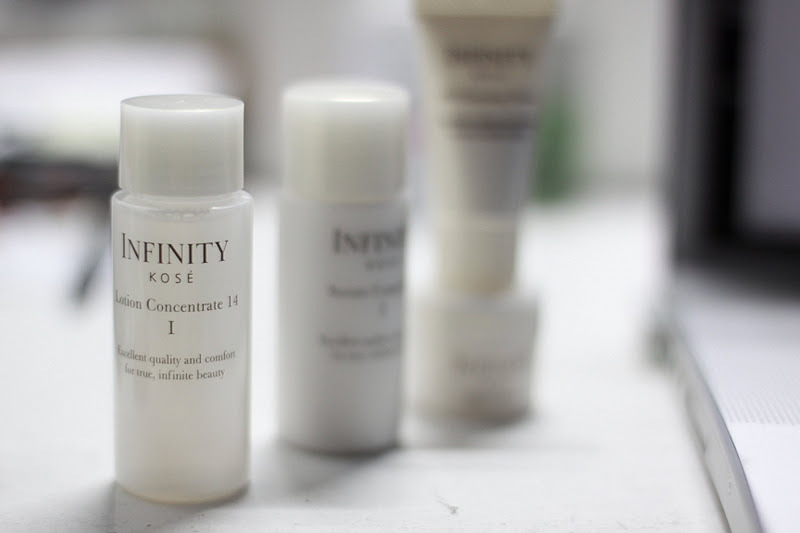 Last week I was invited to Infinity Kose's Beauty Workshop. Fellow bloggers and Rustan's devoted clients attended the private event at the posh East Cafe inside Rustan's Makati. Frankly, before coming to the workshop I was not familiar with Kose at all. It was quite shocking considering I pretty much know all the good skincare products in the market today. But since it's from Japan and Rustan's picked up the line then it must be good, right? 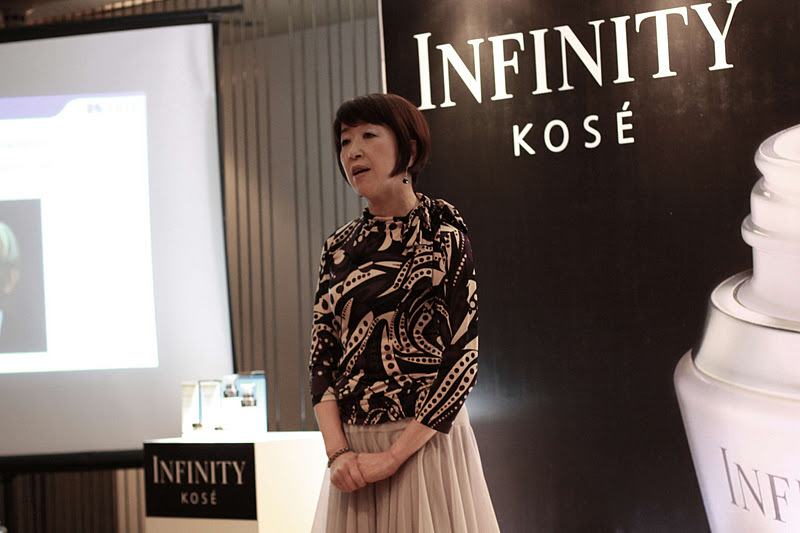 Anyway, Kose's Regional Manager Harumi Sugawara facilitated the beauty workshop. She briefly introduced the Kose company and its latest product line to us. Afterwards, everybody got a chance to try out the products while Harumi step-by-step demonstrated the proper way of applying it to our skin. 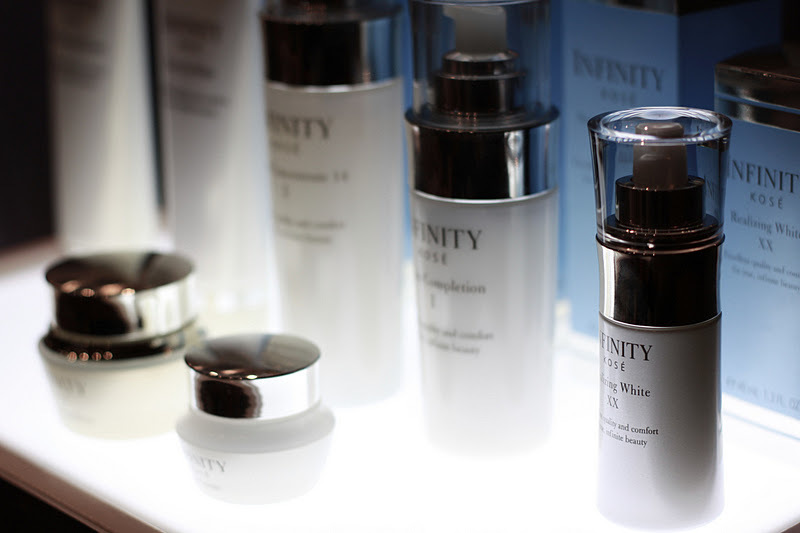 Each guest went home with an Infinity Kose trial pack which included a facial wash, a toner, serum and an eye cream. Since last week I have been consistently using all products on my face. 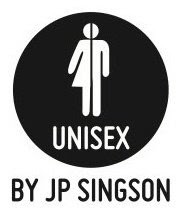 So far I have not experienced any adverse effect considering I have very sensitive skin. I love the foaming effect of the facial wash. Once you wash it off your face you get that squeaky clean feeling. The moisturizer is quite light. It is absolutely perfect for the tropical climate here in Manila. I have yet to notice the wonders of the eye cream. Everybody knows that good skincare products are not cheap at all. But that's the little price you have to pay for staying young and beautiful. Special thanks to Denise Rocco of Rustan's for inviting me to this informative workshop. You can avail of Kose skincare products at Rustan's.